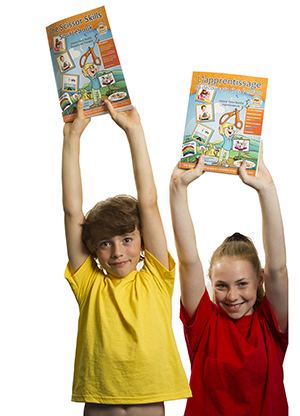 Education, therapy and parenting resources to help children reach their full potential. Our theme based resources are created from the knowledge, understanding and experience accumulated over the past fifteen years from working with children in schools, private clinics, and other locations in the following professional disciplines: occupational therapy, neuropsychology, special education, speech language pathology and real parenting experience. 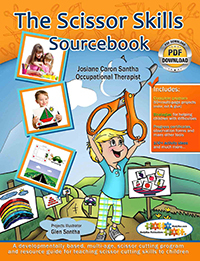 The Scissor Skills Sourcebook: A comprehensive and sequential approach for successfully teaching proper scissor cutting skills to children aged 2 to 7 years and for children with special needs. « L'apprentissage du découpage chez l'enfant » est une ressource reproductible complète pour l'adulte qui soutient un enfant de 2 ans à 7 ans qui débute ou qui progresse lentement dans son apprentissage du découpage. ...used by teachers, parents, health care professionals, educators, early learning and child care professionals everyday to help children reach their full potential.